London, UK – UFC® today announced that No. 11 ranked Dutch heavyweight, Stefan Struve, will headline the organization’s highly anticipated return to the Netherlands on Saturday, September 2 against No.10 ranked Alexander Volkov. The event is set to take place at the Rotterdam Ahoy, with tickets due to go on general sale on Friday, July 21 via Ticketmaster. For Dutchman Struve (32-8; fighting out of Beverwijk, Netherlands), the UFC’s return to the Rotterdam Ahoy presents him with his first opportunity to headline a UFC event in front of his native crowd. Famed for his seven-foot frame, “Skyscraper” Struve is a veteran of the UFC, having made his debut back in 2009. With just two of his professional career wins coming via judges’ decision, Struve has established himself as an exciting name in the heavyweight division, with his UFC record awash with fight bonuses. It was just over a year ago when Struve was first given the opportunity to compete inside the Octagon® in front of home fans. In what was the co-main event of UFC FIGHT NIGHT®: OVEREEM vs. ARLOVSKI, Struve knocked out Antonio “Bigfoot” Silva in round one, securing him a Fight of the Night bonus and an explosive reaction from Dutch fans inside the Rotterdam Ahoy. The Dutchman went on to defeat Poland’s Daniel Omielanczuk via submission at UFC 204: BISPING VS. HENDERSON 2 in October of last year. For Volkov (28-6; fighting out of Moscow, Russia), this will be his first opportunity to headline a UFC fight card. The Russian heavyweight will look to defend his 100% win record that he has established since signing for the promotion last year. Volkov’s two UFC wins – against current No. 12 ranked Timothy Johnson and Roy Nelson in November 2016 and April 2017 respectively – have both come via decision. After catapulting his way into the division’s top 10 rankings, Volkov will undoubtedly be looking to cause an upset for home favourite Struve on September 2. Tickets for UFC FIGHT NIGHT®: STRUVE vs. VOLKOV go on general sale on Friday, July 21 at 10:00 a.m. CEST via Ticketmaster. Fight club members will have the opportunity to purchase tickets early, on Wednesday, July 19 at 10:00 a.m. CEST, while UFC newsletter subscribers can secure theirs on Thursday, July 20 from 10:00 a.m. CEST. 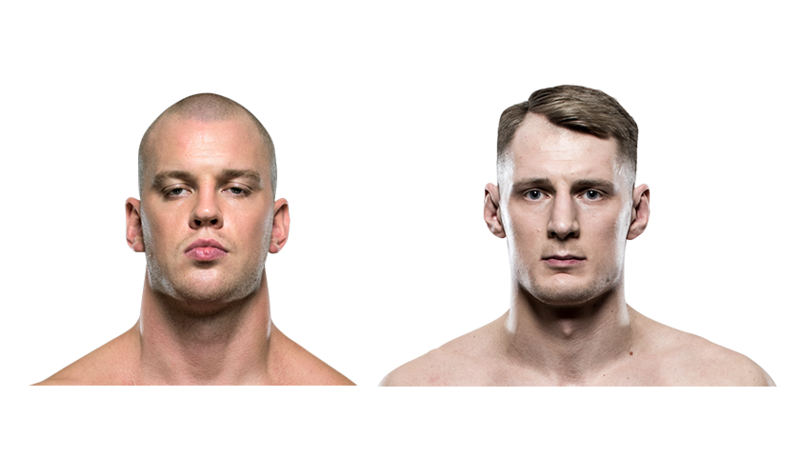 To register your interest for UFC FIGHT NIGHT®: STRUVE vs. VOLKOV, click here. For further information and to sign up for the UFC newsletter, visit UFC.com or follow @UFCEurope on Twitter. All bouts live and subject to change.